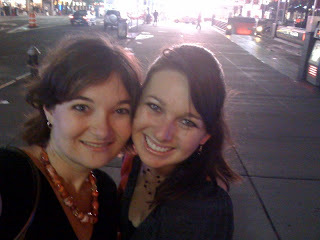 of Times Square behind us. All in all, an absolutely lovely day of being tourists! you two are sooooo cute! isn't the double decker bus fun? i thought it was a good way to get an overview of the city...glad you are having fun!